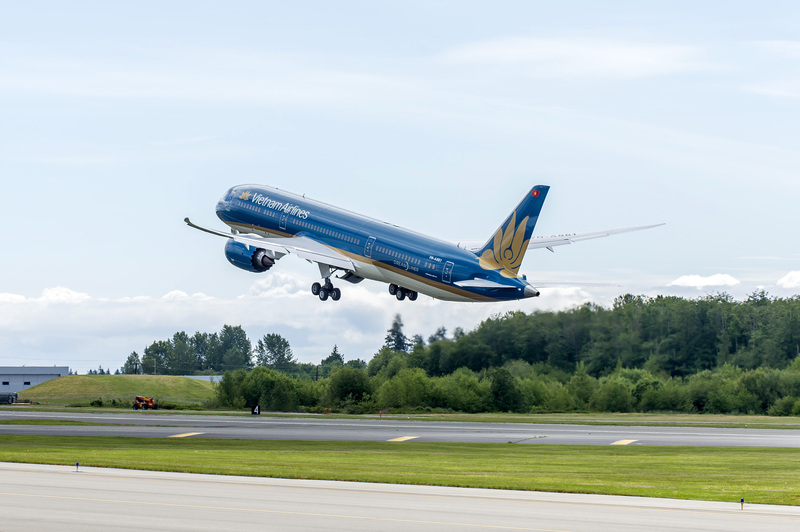 On 14th May Vietnam Airlines celebrated the completion of their 787-9 test flight. This is a big (and final) step in bringing the carrier into the international arena, as their new products on both their Boeing 787 and Airbus A350 will re-ignite interest in the carrier as they go above and beyond in delivering a passenger experience. The new aircraft will feature fully flat beds in Business Class, with in-flight WiFi services also set to be introduced. Passengers will also benefit from larger windows and stow bins, modern LED lighting, higher humidity and cleaner air, lower cabin pressure and a smoother, quieter ride. 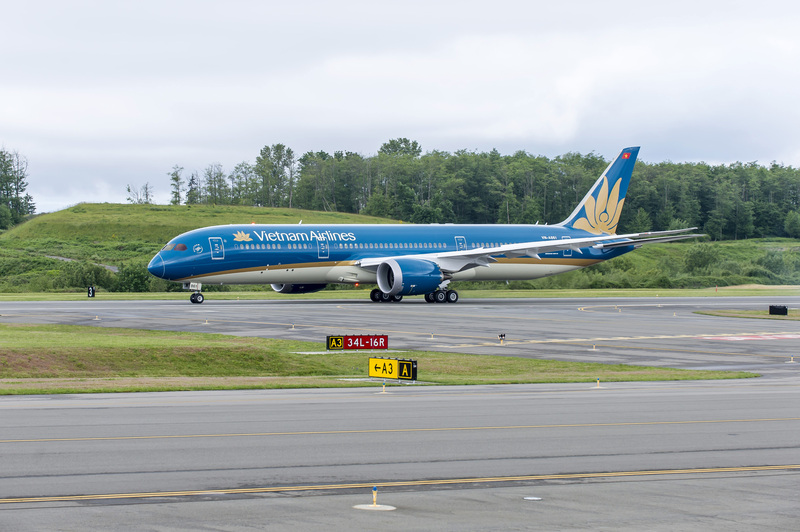 As it rolls out a major fleet upgrade including a total of 19 B787s and 14 Airbus A350-900 XWBs, Vietnam Airlines will become the first Asian airline to operate both Boeing and Airbus’ latest next-generation aircraft at the same time. The SkyTeam member will also be the first airline to operate the new B787-9 Dreamliner nonstop between Southeast Asia and Europe. We are super excited being London based as Heathrow becomes the first international destination on the Vietnam Airlines network to be served by either of the new aircraft. We love the look of the new aircraft, with the Dreamliner really coming into its own with Vietnam Airlines paint scheme and whilst it doesn’t feature the special golden leading edges as found on the A350 wings, it really is striking, and one of the best 787 liveries we have seen so far. It was recently announced Vietnam Airlines will also introduce a new corporate identity and brand image to coincide with the introduction of this new fleet, we’ll keep you posted on that. Qatar Airways is not an Asian airline? The colour pallete of Vietnam airlines is so uniquely beautiful that it’s a real treat to the eyes. I guess European airlines need to learn from them that there are colours other than eurowhite and red with which liveries can be brought alive.